sitting position became more upright and the construction more streamlined with the stretchers being placed directly under the seat. Eva High is manufactured with a solid birch frame supported on an under frame with or without arms in laminated beech. 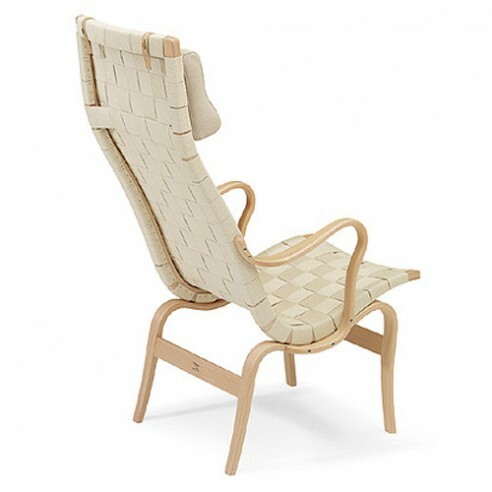 Upholstery is in plaited hemp webbing, sheepskin or fully upholstered in Tonus fabric or Elmosoft leather over polyether (CHMR) foam with a supporting web. When upholstered the fabric or leather is stitched horizontally with parallel lines.